The Annual Inter House Mathmania competition for Middle Programme –II Group (Grade VII to IX) and Senior Programme Group (Grades X to XII) cluster was held at the N.H.Goel World School on 18/08/2018. This competition is held every year by the school to inculcate mathematical quizzing capability among the students. The school conducted a screening test for selecting the candidates. After evaluation of the screening test results the top three candidates were selected for participating in the Final Quiz Show. The quiz comprised of 4 rounds namely Multiple Choice Round, Calculation Round , Reasoning based round and Rapid Fire Round. The Mathematics department of the school kept no stones unturned to select challenging questions for the participants from every possible topic of mathematics. The Quiz competition for Senior Programme Group (Grade X to XII) started at 9:30AM in the morning and ended at 10.30 AM. The students participated enthusiastically to cheer up their team members. After a tough competition, the team of Vishwas House emerged as the undisputed winners. The quiz master also asked interesting logical questions to the audience in between the rounds, which tested their mathematical abilities as well. 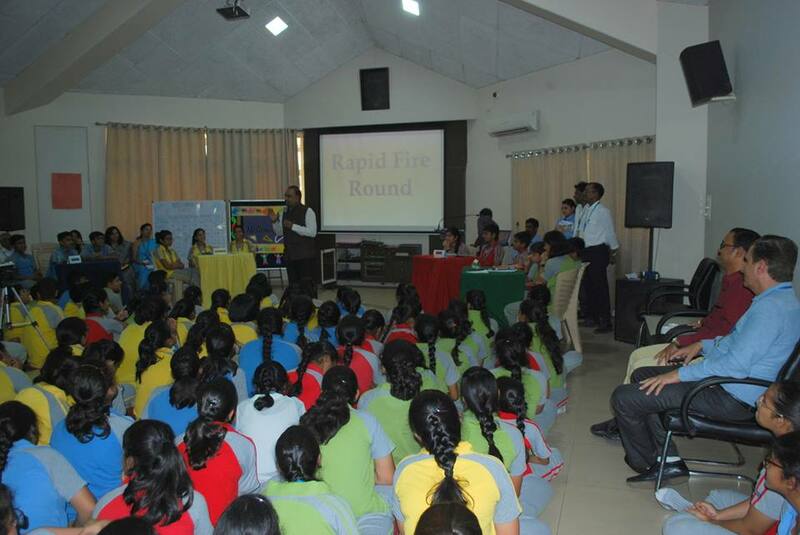 The Quiz show for the Middle Programme –II Group (Grade VII to IX) started at 10.30 AM. After a tough competition Karma House came out with flying colors to win the show. The event was graced by eminent mathematician Mr.BN Rao and Dr. S.K. Patel, Deputy Registrar, Pt. Ravi Shankar Shukla University. Mr.B.N.Rao addressed the students where he showed them various tricks about mental mathematics. He advised the students to relate mathematics to their daily life in order to enjoy the subject. His motivational words served as an inspiration to the students and the Mathematics Department of the school as well.